As some of you may know, I am able to write out some of your life Karma for you. Although I don't go into future lives, I remind everyone that we set up our future lives by the way we choose to live this one. A Karma Reading is also a wonderful, insightful gift to others, and can open the Spiritual Heart to knowledge and a deeper understanding of how this Universe works. Below I have tried to explain karma, reincarnation, and what we experience in the afterlife. This information came from my out-of-body experience on the island of Maui, Hawaii in the late 1980's. You can read the details in my latest book, Unlimited Realities. Click here to order your karma reading for yourself or as a gift for someone special. Most of us do not reach the State of Being in one lifetime. Through reincarnation the soul is allowed to be born again, through multiple times, until it finally reaches The State of Being. Each lifetime brings with it lessons and challenges for the Soul to experience so it can repair its transgressions, and heal. This is the only way we can improve our character and life quality. 1. Lead a life based on what we need to learn and experience to bring strength to the Soul, allowing it to ascend by changing it vibration levels. When we are leading a life based on the Laws of Karma, we often realize that people who are leading an abandoned life have a better standard of living. This is paradoxical because we are taught that God should reward us and punish sinners. However, the belief in Reincarnation enables us to explain this paradox. We can suppose that we have committed sins and made karmic mistakes in our past life, and the sinners, enjoying a better standard of living, comes from their past-life karma bank. If they could realize that living a life walking the spiritual path would enable them to create better living for the welfare of the society, they could choose whether to waste their good energy and not carelessly throw it away in their current lifetime. By throwing away their Karma earned, the next lifetime promises to be event more difficult and possibly tragic for them. Whenever our life is ruined beyond repair the best option is to start a new life. However, to attain The State of Being we must not make even small changes in our life style unless the opportunity is presented by Divine forces. The belief in Karma and Reincarnation enables us to work from within concerning the fluctuations in our life. We can block fluctuations in our current life with imaginary successes and failures in our past life and allow unemotional thoughts to enter our conscious mind. Absence of changes in life would enable us to discard the voluntary force needed to deal with a change; thinking, talking, and action. This would enable us to lead a life with pure involuntary force, by being "in the flow" and accepting the energies of the current moment or whatever the day brings to us — which is meant by living in the Flow with your Blessed Higher Self. Reincarnation is real because when a person die's he she or it will be taken from the dead body and put into a new Light body. The you ascend to either the level you departed from or a higher or lower vibration. "In my House are many mansions." At the end of this lifetime you will withdraw your energy from the physical body, and the soul returns to its "pod school." (That place from where it came at birth.) Then, with your invisible guides and teachers, you go through a life review and assimilation process in preparation for your next round of learning by choosing to create another physical existence. You will, while in your Soul School, choose where, when, and in what kind of situation you need for what you choose to learn. These are your karmic energy choices based on whatever you could not learn or master in your current past life. This will build you new character traits. We all are born with character traits and that is the only thing we take with us when we drop the body, or pass into our new existence. This includes choosing your parents. 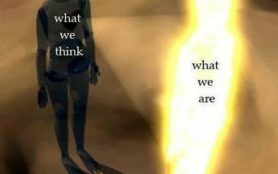 This process will continue until you have reached the State of Being on the Earth plane, where all experiences, how they occur, and what they mean, are understood. When you can realize and hold the State of Being on the Earth plane, you will have no further use for a physical body or the subconscious mind to recreate your desires or store the accumulated understandings. This is what Jesus taught and accomplished. You can as well. The number of lifetimes it takes is unknown. 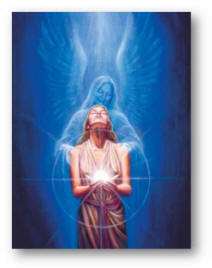 Reincarnation — becoming flesh again after death in this world, is a very essential part of belief in God. 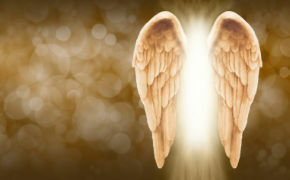 The concept of reincarnation is important because some people say that this life is the only life there is, and are not open to any sort of discussion about past and future lives. However, as Shirley MacLaine says, "80 or 90 years are way too short for the Soul to learn and process all that it needs to." Some people believe that after we die, that we are reincarnated -which means that our souls are born again into another body. There are many ideas and theories regarding reincarnation. There are those people/religions that will say that they have been re-incarnated or believe in it but there has never been any real proof. However proof and evidence are totally different concepts. Circumstantial evidence does exist in the form of carefully documented unusual childhood experiences. Recently a three year old girl firmly said to her mother, "Don't you remember that I used to be your Mother is our past life?" 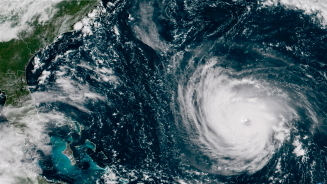 H urricane Florence is currently a powerful Category 4 hurricane over the Atlantic Ocean, threatening the Southeastern United States and the U.S. Mid-Atlantic States. It could go to a category 5. Hurricanes are very unpredictable and the predicted paths can change, but this does not mean we should not prepare for the worse. The brunt of the storm carries a big impact; the potential is for up to 30 inches of rain for the south. Hopefully things change and the storm is not as potent as it is predicted. This is hurricane season and there are two more storms following Florence and many times these storms reach us as tropical storms with a lot of rain and wind. However we do have to brace again for Hurricane Joyce when she arrives. This summer has been one of the wettest on record for the East Coast. The ground is saturated which means even a small amount of additional rain becomes a problem.The tree roots are loosened in saturated ground. They could be uprooted easily. Inspect your roof, flashing and siding. Replace your roof or flashing if it is old and worn. Prepare your basement before flooding occurs. Raise items stored in the basement, make sure your sump pump has a battery backup, and think twice before making your basement a living area. Landscape your home to help absorb water and keep water away from your home. Check your gutters and downspouts to make sure they are not clogged. If you have a storm drain on the street near your home make sure it is clear of debris so the water can flow into the storm drain. Rake up leaves and other debris that may be clogging the storm drain. When you have a loss, make sure you correct the problem that caused the loss so it does not happen to you again. If you are making settlement on a home during a potential storm make sure the policy is issued now or delay settlement if possible until after the storm. If you are planning on picking up a new car, it is suggest you wait until after the storm so your new car does not flood or get damaged by a tree, reducing its value. Wait to take possession of the new car until after the storm leaves the area. Be aware of where you park your car during a storm to avoid flood and trees. Put your valuables on a separate inland marine policy. Many of these policies cover flood damage. If you are asked to evacuate in your area, it is always best to do so. Power outages are expected as well as more than heavy flooding, so no area is really safe within the path of this Hurricane. Hurricane Florence could be worse than any hurricane the United States has ever experienced — putting millions of people out of their homes and without electricity for weeks, and perhaps months. If you have friends or family in a higher, safe area, plan to stay with them until the danger has passed. 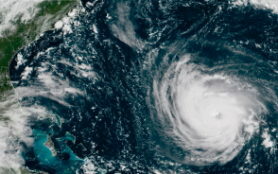 I do see this hurricane going up the East Coast and hitting hardest from Georgia up to New Jersey with the worst being North Carolina and Virginia. I see a potential of three hurricanes going up the East Coast of the USA. Yes, they will cause extensive damage to the middle East Coast states. Anyone reading this, please prepare now. Don’t wait and see because you could come to harm. but you can be safe with your life and the lives of those you love. Those who are not aware of the Earth’s Divine Destiny and who are not correctly attuned with it cannot understand what is going on at this time worldwide and they may have wild and frightening speculations about it. For humanly to understand the Divine Destiny one must believe in the Bible and this time-frame at several deepening levels. Those who do not believe in the Bible or who accept it at one of the lesser levels of information or destiny can still understand what other levels and people believe, although they may not accept the thoughts. The Bible is very ancient and great numbers of brilliant scholars have analyzed it, but others still feel that it is simply a collection of ancient myths not based in reality. 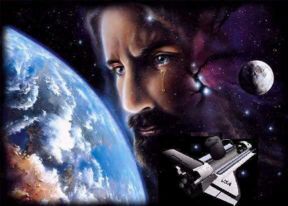 For those persons who do not believe in the Bible the recent events in Israel are simply based upon geopolitical factors and the usual deficiencies in human nature such as to not be able to get along together, plus perhaps, superstitious beliefs not based upon reality. Please allow me to explain the story of Our Divine Destiny for any who wish to hear it. The story begins with Abraham, a great teacher, who God had selected to be the Father of Religions as well as a blessing to ALL Nations. The Bible contains the history of the descendants of Abraham's wife, Sarah, but all his other wives received similar promises and have religious cultural histories separate from The Bible and the Judaic / Christian / Muslim thread. One of Abraham's and Sarah's descendants, Moses, when bringing the children of Israel back from captivity in Egypt (from one of their many punishments) was shown (but not permitted to enter) the Promised Land that was to become Israel. Moses sent in spies to determine the nature of the present occupants that would have to be eliminated so the current need to mitigate, if not eliminate, the Palestinian's is nothing new to Jewish history. This has been over a 2,000 year struggle. The present most benign and tempered approach is called the Sinai Solution, a diversion I did not make up here. Among the descendants of Moses, who had conquered The Promised Land, there was one considered to be the wisest. This was King Solomon who designed The FIRST TEMPLE and who purchased the land for it as well as materials to build it. It was Solomon's son David who actually built Solomon's Temple and who established the Throne of David upon it. It all came to naught because the Jews displeased God and He sent Nebuchadnezzar to punish them. Nebuchadnezzar destroyed Solomon's temple. (According to the Hebrew Bible, Solomon's Temple, also known as the First Temple, was the Holy Temple (Hebrew: בֵּית־הַמִּקְדָּשׁ‬: Beit HaMikdash) in ancient Jerusalem before its destruction by Nebuchadnezzar II after the Siege of Jerusalem of 587 BCE and its subsequent replacement with the Second Temple in the 6th century BCE.) Later God directed Ezra and Nehemiah to rebuild it. The prophecy in the Book of Daniel says that seventy weeks (not direct calendar weeks) from the going forth with the order to rebuild the Temple, the Messiah would come. There were numbers of Jews who understood the timetable from the Daniel Prophecy and because Jesus was present at the time of fulfillment of the weeks and some came and asked Jesus if He were the Messiah. He simply told them to read and understand the Book of Daniel, where these prophecies were recorded. It was on that basis that some recognized Jesus, but while many Jews were aware of the prophecies, they mostly rejected Jesus as the Messiah because He did not fulfill their aspirations of sitting upon the Throne of David and establishing the Jews over everyone else. For centuries since, Jews of all variations have pointed out that the Messiah was to gather them together, but the opposite happened in the time of Jesus. At the time of Jesus the Jews were together in Israel, but under the persecution of the Romans who eventually destroyed them at Masada, where the Jewish leaders all committed suicide. After that the Romans removed Israel from the map, (as the Muslims threaten to do so today) and renamed the area Palestine (a Roman word). There were many other Jewish "proofs" that Jesus was not the true Messiah such as Jesus was a Nazarene while their traditions said "No good would come out of Nazareth" as well as that only those accursed die on a tree. 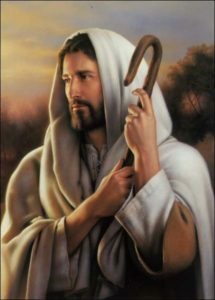 However, Jesus the Christ was crucified and this is taught by rabbis to young Jews to this day - that they may "know" that Jesus was not the Messiah. Jesus responded at that time that, whereas Isaiah had said that the Messiah would gather the Jews as a mother hen gathers her chicks beneath her wing, that He would have gathered them, but that they would not gather. Moreover, He assured them that the Second Temple, which had been rebuilt in accordance with the seventy week prophecy and from which He had driven the money changers, would not be left with one stone on top of another. The New Testament records the Revelation of Jesus Christ in The Book of Revelation, wherein He addresses the Seven Churches (local churches used as archetypes of the Seven Religions of the World). His Message was so important that ALL Religions and Cultures were addressed in it. These were not just past religions but what were then as well as future religions, and a large portion of The Book of Revelation is devoted to the Muslim Religion, which recognizes Jesus Christ, the role of Mary, and the Judaic / Christian relationship to Islam through the Prophet Muhammad. Just as the Jews did not recognize Jesus, the Christians did not recognize Muhammad or those that came after Him, because each religion felt itself to be the best, last, (and only). Each of the religions after Jesus saw the prophecies regarding Jerusalem and the Temple as applying to themselves. Each of these religions at our present time, see themselves as the proper custodian of the Holy site Jerusalem and have the aspiration of building the Third Temple there. 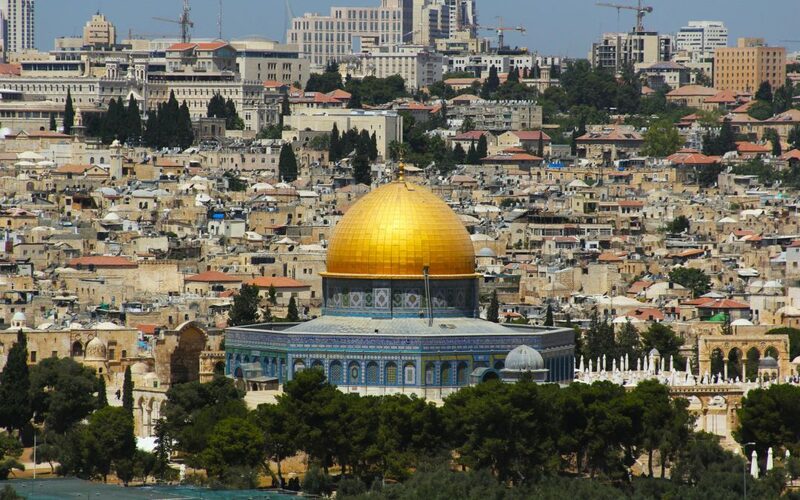 Some Muslims may see the present Mosque/as the fulfillment of that aspiration and this is partly why temple mount in Jerusalem is considered the second most holy site in Islam, although the term Jerusalem never appears in the Koran. The prophetic dates in the Bible are very clear for those who wish to see them although one must remember that from the Jews point of view there is no prophecy in the Old Testament about Jesus. For the Christians and Muslims those prophecies not only existed but clearly foretold the time of His Return and that afterwards there would be a great disaster called Armageddon, the final battle of which "no man knoweth the hour". 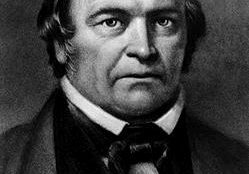 The same singular prophecy to which Jesus referred to in Daniel as evidence of His Mission also supposedly foretold His Return in 1844. This date is called the Great Expectation and also The Great Disappointment, when once again the fulfillment was not as the expectants' (this time the Christians and Muslims) expected. Nevertheless, MARVELOUS things occurred at that time. It was the watershed of history. The world looked one way before — technologically, politically, socially and so forth — and entirely different afterwards. For centuries and millennium it had looked one way with horses and horse delivered messages. The change in that year began the invention of the first electronic device and all the marvels we have seen in less than 200 years later from our satellites and Internet. 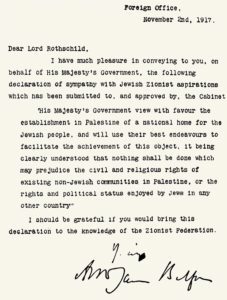 In 1917, during WW1, the British issued the Balfour Declaration; in effect re-establishing Israel by making Palestine a homeland for the Jewish people. All was not simple. Jews were still rejected throughout the world and although Hitler tried to ship loads to Britain, the US, and Canada, that effort met little success. It is a horrific story to study and most everyone knows what happened in the holocaust. But the struggle persisted and subsequent to WW2 (in 1948) Israel was re-established with the US being the first country to recognize it. Which is logically consistent with their belief that the Messiah has not come in the first place to gather them together as a mother hen would gather her chicks. This did not upset or concern most Jews, because most Jews are not what they call religious. In fact many are atheists and proudly proclaim themselves so. Christians and Muslims can sympathize with the Ultra-orthodox Jews, because they are in agreement that Christ has not returned during that climatic event called Armageddon, when in the Muslim view, Christ shall return along with Muhammad and all the earth will become Muslim. The Muslims feel so strongly about this that they would join the Ultra-orthodox Jews in destroying Israel and many feel that a world wide Jihad must be brought on to accomplish this. They are doing everything within their power now to hasten it. So it all surrounds Jerusalem and, in the eyes of some, the issue of the Temple there. Others see the current problems as revolving around oil, the Syrian pipeline, struggle for geopolitical control of the Middle East, and similar issues. These are but external coincidental issues that surround and confound the affairs in Jerusalem, as it struggles forward to its Divine Destiny. There will be no unity of agreement as to what has occurred, as to what is occurring, or as to what will occur. The Great Last Battle of Armageddon and The Great Catastrophe will bring about a worldwide call for World Unification in Jerusalem with the realization that it cannot be given to the Jews, Christians, Muslims or any other group, because these people would continue the conflict. Many of these same entities will call the unifying power (a reformed UN or whatever) the anti-Christ, because it does not satisfy their desires, or their dogmatic explanation of the Scriptures. In any case, these are the affairs that face us at the moment. The US (under the leadership of President Trump) has established its Embassy in Jerusalem and the other powers that be in the area such as Turkey and Iran, say that the embassy and Israel must not be permitted to stand. Many question the purpose of it all. They ask if God sides with one nation against another. The answer is yes. Ask the Jews how they made out against Nebuchadnezzar, Hitler, and many others. But to what purpose? The purpose is to improve humanity. Many people have a child like self-centered view of reality. They see one planet - one nation - one religion - even one political party - as being the ONLY right one. As an individual grows with Spiritual understanding, their horizon expands, and they realize the Universe is more than really big. Higher, Divine understanding reveals that what we perceive is an illusion of the underlying Universal reality. One, who spiritually progresses, will also progress eternally. They will come to understand that the worlds of God are infinite. They have as little understanding about the next life as they had in the womb about this life. Because the worlds of God are Infinite as well as beyond our understanding of space and time, there will be throughout eternity ever more to comprehend. We live in an amazing time of history when especially dramatic events are occurring. How fortunate we are to witness them and to have the opportunity to comprehend them. Some of the events happening now are of great significance and the limited arguments between religions, political parties, or academic pundits are of no eternal significance. May this information lead you into the true world of the Soul so you can learn to verify information coming through the Soul by using correct Divine principles. A quantum leap forward in this process is not to be deceived by a multitude of false channels, facts, and data, but to learn that the Spirit within can and does verify and define principles behind the genius knowledge it brings. Predicting the events of tomorrow with the intent of changing the negatives. Your prayers help us to change the future! Today Mercury ends his retrograde cycle, and tomorrow is the Annual Full Moon in Pisces. America just passed through a Full Solar Eclipse at 28 degrees Leo, the degree of final endings. 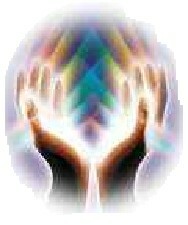 This powerful energy will take us to a deeper level within. At the same time you can make great strides to accomplish anything you desire as long as you are willing to get to work. The first part of September brings all a highly productive combination of energies. Because the Full Moon tomorrow, September 6th, is conjuncting Neptune at 13 degrees Pisces, be willing to allow your mind to go beyond the veil of this material world, and visualize to bring your desires into manifestation. 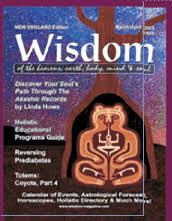 Through meditation and using your intuition, you can bring new insights into the real world for the use of mankind. The nodes are changing on the 9th, and they represent security and protection. The energy has changed after the eclipse and this energy will change the future of this planet. September 2017 is a fated month - and will be recorded in the history books. 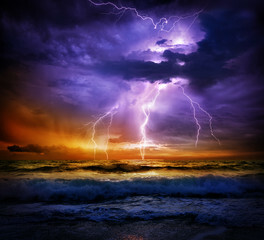 The weather becomes colder, with high winds, storms, hurricanes, and rain, rain, rain. Expect at least three more storms after Irma, hitting Miami, South Carolina and new Orleans. Many of the islands will be under water as well. 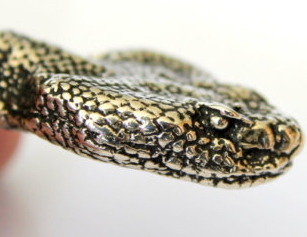 On the 16th the Serpent's head rises in the cosmos bringing in two week of upsets and disturbances. Expect breakdowns of governments, and leadership problems world wide. This is a huge year for our leaders of government. 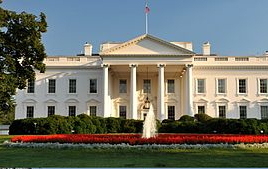 Finally, in America there could be a change at the top of government because Trump becomes ill and incapacitated. The Queen announces that Charles will not be given the throne, and the title is passed on to Prince William. Kim Jong is removed from power --- and many more leadership upsets and changes. The 25th of September or thereabouts is a day to remember as well. Something with computers, hurricanes, and storms. There also could be a death of a famous leader. So buckle down and be prepared. Remember that September is a fated month - but please keep the prayers going. They are positive and always help the Universe stay in balance. Ascension is merging with your higher self, opening your heart, and expanding to reunite with Source, the Divine Light, and all levels and layers of your authentic self. It is returning to the experience of Divine Light and experiencing the highest levels of unconditional love and Divine Alignment with Pure Source Light in every area of life. 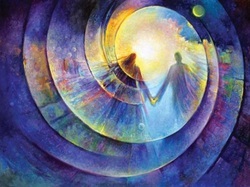 Ascension is not something that happens to us on a certain date, or that we unknowingly or unwillingly stumble into. Awareness will also help you to adapt to the ever-changing circumstances of life around you. In addition to meditation, learn and seek out new perspectives, validate what you learn to gain wisdom and knowledge, implement what will serve you, love in every moment, move forward, and grow…This is the ascension path; the path of increased awareness, higher consciousness and illumination. The master path of love. Higher vibrational living awaits you, as you consciously choose to Ascend. However, not all will ascend in this lifetime. 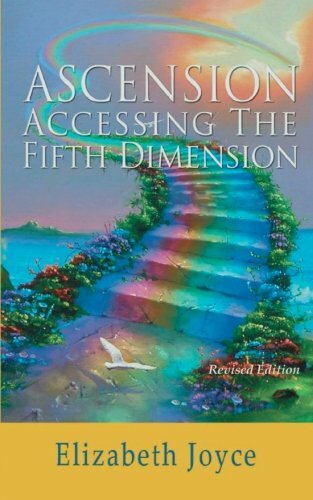 But if you were drawn to read this article or m book Ascension—Accessing the Fifth Dimension, the stage is set for you! 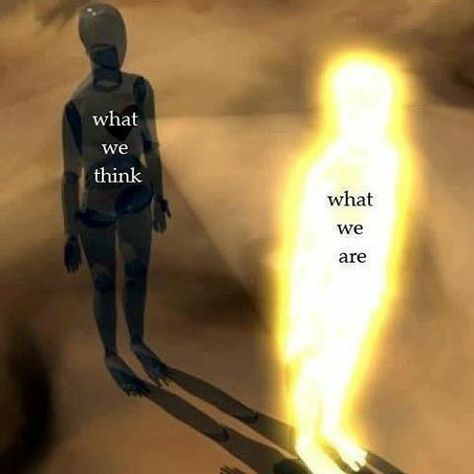 Did you know that your total enlightened and illuminated self already exists? Now it’s simply a matter of integrating your Universal Light into your being by bringing your spiritual power into the physical. 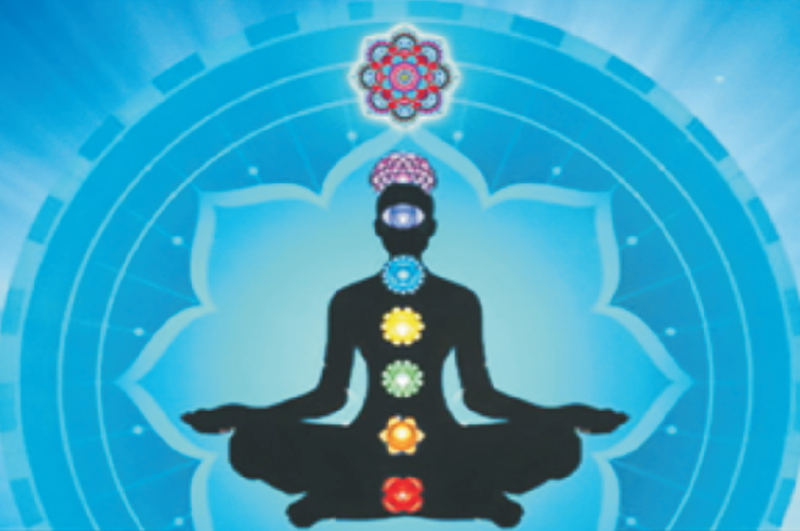 Open your heart, become aware, and shine with the full brilliance of your blessed higher self and spiritual being – the Universal Body – which you can now access and use -- here in the physical. You are the one, every moment is your opportunity, beam out and reflect love, because now unlike anytime before - is the time. We may feel that it is especially difficult to stay on our spiritual path in these days of political difficulties. As Christ said, “Many of the elect will fall away.”This statement also pertains to when we stumble and fall flat on our faces when trying to maintain our spiritual center. The real issue is not that we stumble and fall away from our center, but rather that we work to try again and again to return to that center. It can seem so hard to hold onto the vibration of the State of Being. It is entirely understandable to recognize that we will stumble and fall flat on our faces when we struggle with that which we see and hear--- and this can be harmful to ourselves and other people. Many of us are at a place in our paths where we are facing strong challenges from within our very own selves and we need to devoutly practice our learning of that which is a higher path to walk in life. Then the world will experience a raise in consciousness. Do You Know What’s Going On? Who Won – Who’s In – Who’s Out? The Electoral College doesn't vote until December 20th, 2016, meaning that the president-elect is not a done deal. Lot's can happen up to then as well as on Inauguration Day. If you can understand what is going on - you are a very rare individual - and I wish for you to explain it to me. Below is the information that I presently perceive to be correct. 1. Trump is a pawn. Two groups in the actual Shadow Government are fighting over him. He probably (almost undoubtedly) does not understand his own situation, but he understands it better than I do. At least I hope he does. 2. The one side / Faction One of the Shadow Government, whose agents are the 15 "secret alphabet intelligent agencies of the United States Government" wish to compromise / assimilate / completely control Trump, but that apparently has not yet occurred. They have been holding numerous meetings with him and certain ones of his appointees. b. a continuous barrage of publicity in the MSM (Main Stream Media) as to how unsuitable he is to be president. c. By instigating massive demonstrations of social unrest, both of BLM (Black Lives Matter) and other anti-Trump demonstrators. 3. Carefully look at this three minute video from five days ago. Note the quality types of buses. Notice the company logos on one string after another. BIG money to do all that chartering. Big money to do all that coordinating. Do you think average American people are laying out the money to go to those demonstrations? Taking time away from work and family and other life activities to go to POST-ELECTION protests against Trump? Carefully, think it through and come to your own decision. "Who is it that is trying to control your opinion/thought/concept?" George Soros has funded many of the demonstrations both in the US and in Europe and the Ukraine. While I have seen many other pieces of information restating what I have gathered together here, it is all just repetition. You have just as much information, in quality if not in quantity, so I hope you understand what all this means. If so - please explain it to me. Word in just at this moment that Trump has named a pro-Ukraine CIA Director. A Faction Two action against Faction One. Now - what would that mean? There may be multiple factions - and multiple actions of which I have no comprehension - but I do think a gigantic and significant battle is going on there that bodes you or me no good - no matter who wins. Exactly what are the steps to the presidency? Probably something more than we were taught in our fifth grade American Government classes. In fact, I see more than anyone mentioned in my university graduate political science studies. Okay, there is the matter of getting the nomination. Sorry Bernie, no one ever told me about Super Delegates. Local contests don't count. Once you get the nomination (it really does have to be one of two - in our two party system) then there is the election. Getting the most votes (the popular vote doesn't cut it, as has been the case in several elections). Winning the Electoral College doesn't cut it either. There is a thing (perfectly legal) called 'unfaithful delegates'. The electoral college delegates don't even have to be elected. The delegates can be appointed by state governors, legislatures or whatever, perhaps contested up to the STATE Supreme Court, which is where that ends, unless you don't like the chad count result, and you are named Bush. Then the US Supreme Court can one time (only) over-ride the State Supreme Court in Florida for you to become President, and then reverse itself in the next election in New York, and say it has no constitutional basis to interfere. But, as the saying goes that is now all water under the bridge. We are looking at the present situation and we are up to the point where Trump has won the Electoral College vote. Many people thought the game was over on November 8th. Wrong. 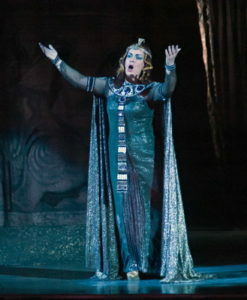 You may say that we are into overtime, and it isn't over until the Fat Lady sings. (one should not presume to know the outcome of an event which is still in progress.) The choice isn't final until the Electoral College votes - (and constitutionally it can vote anyway that it wants). Then the choice is final. BUT that isn't the end of it. NOT by any means. There are some things not mentioned in polite society (and certainly not in the Fifth Grade History/Government Class) and one of those things is called a coup, which is where we are right now, and there are a number of steps and strategies beyond that. So you have state nominated / nationally nominated / main two party nominate / popularly or electoral college designated / Electoral College elected. We aren't due there until December 20th, if we make it that far. Providing that there isn't social / financial collapse or World War III, with the implementation of martial law, and the presidential designate does make it to Inauguration Day (without heart attack / stroke / auto-air accident or a thousand other possible intervening factors) and they become the president elect - they are still not 'the sitting president' or what is often called "the present occupant" of the White House, which may or may not exist at that time. Now, I hear everyone saying - "Whoa, you have just gone way off the scale of probabilities", to which I reply, "Yes, but not that of possibilities, because there are many more including assassination (think Lincoln), internal coup (think Wilson), (the present Shadow Government), military coup (think many other governments), revolution (think beginning of the country)" and while I can go along this vein at length my paradigm doesn't even include things like alien intervention. 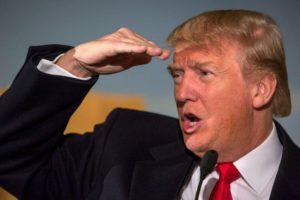 Can you see what's coming Mr. Trump? 2016 is the Chinese Year of the Monkey. Anything can happen. We do live in interesting times - and I am just telling you, Trump isn't a done deal. The Fat Lady isn't even warming up. I understand probabilities. I just find possibilities more interesting - and paradoxically more probable. Remember my internal message all year long, "The next president of the United States is not running at this time." If you go along with my vision, the only revelation I can give you is that what is going on is EXCITING, EXCITING, EXCITING to say the least.